Data and predictive analytics have transformed finance, manufacturing and many consumer industries. At 8th edition of Asia IoT Business Platform; Dr Yau Teng Yan, Chief Medical Officer at Holmusk, spoke about how Big Data can be used to fight Chronic diseases. In his presentation, he mentioned doctors, are experts at practicing ‘trial-and-error’ medicine. A patient presents with symptoms and doctors make the best diagnosis they can come up with based on their personal knowledge and experience and prescribe drugs based on standard dosages. Doctors then hope for the best and after some time, if the drugs doesn’t work, the dosage or the medication is changed, or a different diagnosis is considered, until something works. ‘Evidence-based medicine’ – a core tenet where doctors base their clinical decisions on well-conducted research – is often inefficient because the results in research are summarized and averaged out and it is assumed that each patient is an ‘average patient’. However, the availability of new kinds of data and new tools for data analysis is providing a new approach to medicine and how it is improving patient outcomes. Giving an example on breast cancer, Dr. Yau, explained that it is the second leading cause of cancer deaths in women today, with survival rates for advanced breast cancer at less than 30% living beyond 5 years. A drug, Tamoxifen, used for the treatment of breast cancer has been thought for a long time to be 80% effective, based on clinical studies. However with the availability of new kinds of data and data analytic tools, it is now known to be 100% effective in 70 – 80% of patients, and ineffective in the rest of them. Biochemical markers are the key in predicting which patients will respond and which won’t. This is important as the drug should not be prescribed to someone, which it will be useless for, because it has side effects, like risks of blood clots and uterine cancer. What Can Big Data and Health Care Analytics do? Big data refers to large, complex sets of data that are difficult to access or manage traditionally. 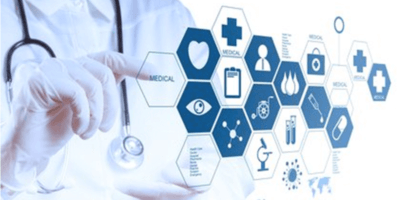 Big data in healthcare consists of electronic health records, doctors’ notes, pharmacy prescriptions, insurance claims, sensor data (such as blood pressure, glucose level), genetic information, and more. These sources of data that weren’t available a decade ago, but now have huge potential to help us better understand our bodies. Healthcare is transitioning into a data rich environment today. In 2011, 150 exabytes of data (that’s 150 billion gigabytes) was generated in US healthcare organizations alone. Data by itself is not very useful. The key enabler for this revolution is the availability of cheap computing power to analyse these large datasets to generate new insights into disease. Unlocking the hidden value in this information has the potential to improve care and attain cost effectiveness. Data analytics allows health care practitioners to synthesize and discover patterns and correlations within the data that would not have been revealed otherwise. Doctors will be able to make better and more accurate diagnoses, and provide the patient with more personalized treatment plans based on their profiles, improving patient care. Join Telstra Health at the 9th edition of Asia IoT Business Platform which will be held in Jakarta, Indonesia on 15-16 of August as they discuss insights into Health Analytics and how patient care can be enhanced.